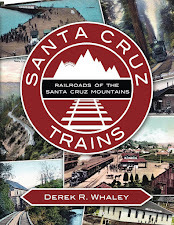 There are many peculiar railroad-related enterprises that have passed through Santa Cruz County over the years. One such company was the miniature railroad that operated in Harvey West Municipal Park from 1968 until 1992. Harvey West Park itself was dedicated on May 30, 1959, on fifty acres of land on the north side of the City of Santa Cruz beside Pogonip. It was named after Harvey E. West, the son of old Loma Prieta Lumber Company tycoon and former county supervisor Ed West. Harvey himself was an employee in his youth of Frederick A. Hihn's milling operation on Laurel Creek before founding his own lumber hauling company upon returning from service in World War I. He moved out of the area in the 1930s and founded the Placerville Lumber Company in 1936. West lived until 1979, twenty years after his eponymous park was founded. The park was named for him for multiple reasons: he was a well-known and influential local into the 1930s, he donated great amounts of money to private and public organisations, and he arranged for the purchase of the properties that would make up Harvey West Park, presenting the larger part to the city in 1955 and the Wagner Grove in 1958. Wagner was the original American owner of the land whose descendants had sold it to West for the creation of the park. In April 1968, notice was given to the city council that a man named Dan J. Hurt was being solicited to install his still-under-construction miniature railroad to the park. Hurt, a friend of West as well as a former US Navy admiral and a local model railroader, proposed a 170-foot-long loop track that would initially operate with a single locomotive and two passenger cars, which would be installed with accompanying authentic railroad sounds. The locomotive was modelled after a 1860s wood-burning engine, although it operated off of a diesel engine. The gauge of the track was to be 18 inches. Hurt was required as part of the lease agreement to erect an enclosed station house and ticket office to protect the rolling stock when the train was not operating. It was intended to operate daily in the summer and on weekends for the remainder of the year. Hurt planned to charge 10¢ per passenger per ride and called his enterprise the Sierra Nevada & Golden West Railroad. The new railroad opened in late July 1968 and was staffed that summer by Hurt and by volunteers. Harvest West became involved in the construction, donating ties to the track and striking the golden spike during the dedication ceremony. Because of the donations and city funds, he was able to expand the track to 0.25 miles, or around 1,300 feet, which was much longer than the proposed length. It ran in a figure-eight pattern around a good portion of the park. The SN&GWRR departed the station every 20 minutes (implying an approximately 15 minute ride) and it could hold 20 passengers, plus the engineer. Because of the increased costs of the longer track and the need for more cars, the cost of each ride was set at 25¢ for children and 50¢ for adults. Hurt operated the train through the 1975 summer season and then the concession went up for sale. Perhaps unsurprisingly, there was not a lot of demand for a miniature railroad linked to a public space. As part of the concession, the railroad included a snack bar and hamburger stand, both of which operated out of the ticket station. Hurt listed the train and its accoutrements for $11,000, although its final sale price is unknown. 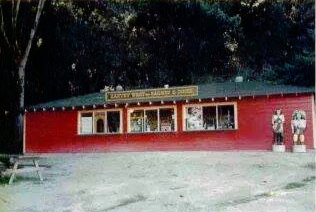 The station booth and snack shack, c. 1970s. Alberto E. and Gayle Vincent finally took over operations for the 1976 season, changing the name to the more straightforward Sierra Nevada Railroad. In 1977, Robert O. and Virginia M. Mock took up the lease, operating it through the 1979 summer season before putting it up for sale again. In April 1980, Hamlet Char Broilers, owned by Gary Parsons, purchased the railroad and ran it for two summers, renaming it the Harvey West Railway & Diner, although "diner" was a bit of a stretch. In November 1981, Richard E. and Barbara A. Gempler, in partnership with Helen Waldemar, took over operations, after which the ownership trail grows cold, unfortunately. Around 1986, it was sold to Chris Burden, but no information is known regarding any intervening owners and it seems that the train was not operating during much of this time. By March 1992, the railroad was in a serious state of disrepair. Only the locomotive and a single passenger car were in operable condition, running again under the name Sierra Nevada Railroad. Burden was only charging 75¢ per ride, which certainly did not help his financial situation. Maintenance and rising insurance costs made it so Burden couldn't afford to operate the train in the coming summer. Interestingly, a German tourist offered Burden $40,000 for the railroad and its track, but Burden decided instead to shut it down, thereby ending 24 years of service. The track was pulled up and the train disappeared. Where it went is not currently known. 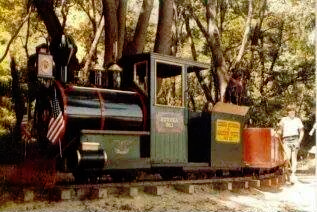 Harvey West today still has a train—the large Southern Pacific locomotive #1298 that was installed for children to play around and on—but the footprint of the miniature railroad that once looped around much of the park is gone and its memory quickly fading. 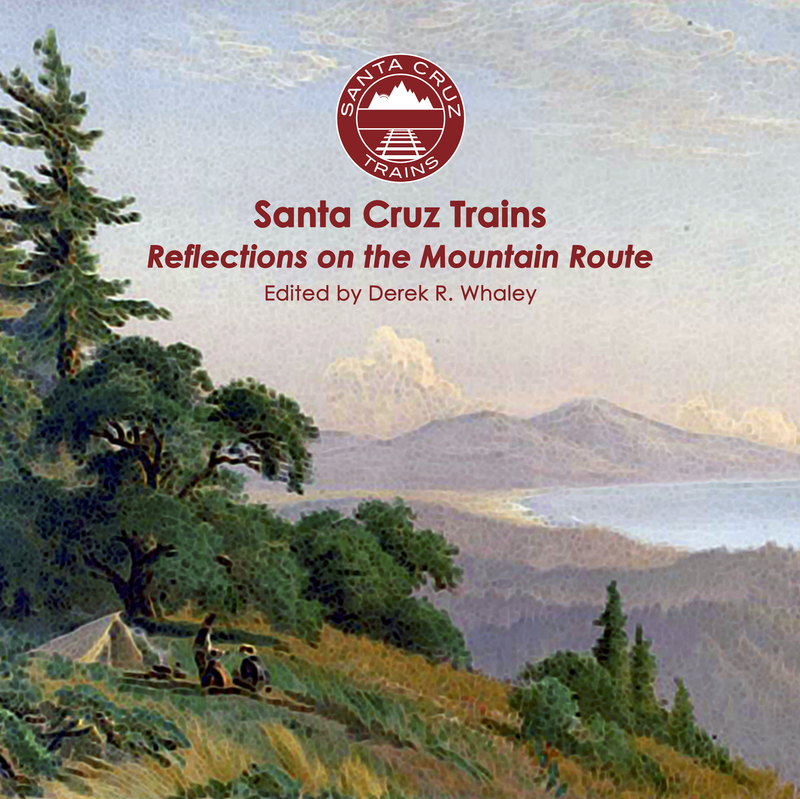 Donald A. Clark, Santa Cruz County Place Names: A Geographical Dictionary (Scotts Valley, CA: Kestrel Press, 2007). Santa Cruz Sentinel, 1959 – 1992. I was lucky enough to ride this when I was 4 years old, there is still a random tie or two on whats left of the right of way (now hard to discern from the many walking trails).